While I myself am a Latin Rite Catholic, my maternal grandmother’s side of the family belongs to the Byzantine Rite, specifically the Ukrainian Greek Catholic Church (UGCC). I’ve always felt that I’ve grown up with the best of both worlds. 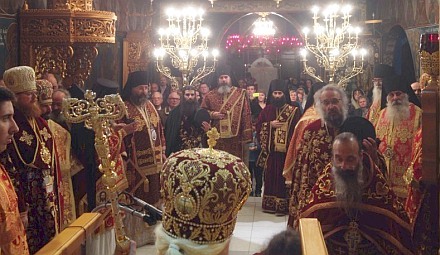 But now, with a Byzantine Rite parish so close to my home, I find myself drawn to this form of worship more and more. This is a rite in the Catholic Church which has not lost its traditions, as we have painfully seen in many Latin Rite parishes throughout the world. It can be rightly argued that we as Latin Catholics have an identity crisis; the Byzantines do not. On the contrary, many Latinizations that have been acquired in the last several generations are disappearing in many Byzantine parishes. Yet, despite all this, I wish to stick with the Latin Rite. I want to help, in whatever small way I can, to regain our Latin traditions as the Byzantines have.